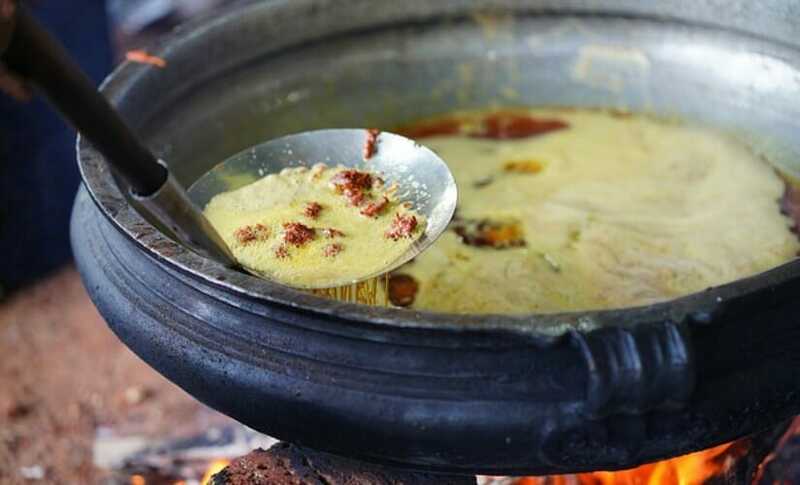 Indian cooking methods are not different to those normally used, however it’s the techniques or nuances that differ. It is these techniques that one needs to learn in order to make the dish and give it the quintessential Indian flavour. Many Indian dishes often use between 3 – 6 kinds of cooking methods. Usually beginning with tempering or frying whole spices, followed by sauteing or shallow frying aromatics like,onions, ginger, garlic. The next step is to add some form of protein or veg and continuing the sauteing process and finally cooking it further either by simmering or boiling. You can read about the process of cooking Indian food in my blog post ‘How to cook Indian food’. The idea is not to intimidate you. The way to make any dish can be as complicated or as simple as you choose to make. You can opt for either one or a mix of various kinds of Indian cooking method and techniques. We are talking about simple home cooks and not Michelin starers, where edible food is perhaps a tablespoon portion compared to the plateful of entrancing oddments! Cooking anywhere in the world use a universal method, which is the use of some form of heat to bring raw food to an edible consistency. Frying, boiling, sauteing, grilling are some of the most popular methods used to cook food. Indian cuisine too uses all the above methods and more. The Indian version of sauteing is called bhuna. Bhuna means to saute vegetables or meat, fresh aromatics and spices together that forms the base of a dish. The method combines both, dry and wet cooking method. Technique - Thinly cut vegetables or meat is lightly fried in a thin layer of oil in a pan. The technique is to cook food until it&#039;s just tender and not to over cook it. It involves cooking food in oil with a little sprinkle of water from time to time to prevent the spices from burning. Cooking flat food items in a small quantity of oil ideally in a flat bottomed pan. Technique - Contrary to deep frying, this method uses 8 -10 tablespoons or just enough oil to cover about half an inch of the side of the pan. Food is flipped over once or twice until both ides are cooked. Method used to mostly make crispy food or simply cook it in oil. Technique - Adding 2 - 3 cups of oil in a deep bottomed pan and fry food in the heated oil till done. A popular method used to blend spice mixes, or to add extra flavour to dishes as a finishing touch. Technique - This method involves dry roasting spices or aromatics on a dry pan, sometimes with a dash of oil or without oil. The most traditional and popular grilling method is using a &#039;tandoor&#039;, the Indian version of a grill. Modern homes these days use the oven grill or the BBQ grill to cook food. Technique - Food is placed directly on hot charcoal or a heated rack. Popular Dishes - Many Tandoori starter dishes like tandoori chicken, tandoori nan and malai kebabs. Here heat is used indirectly through the medium of water to cook food. This method is used to retain the natural flavours of food as much as possible. It needs to be said that most Indian dishes use a combination of both methods of cooking. The slide below explains them. This method involves cooking food in steam emitted from boiling water at high temperature. This is an excellent way of cooking which keeps the flavours and nutrients intact. Technique - Water is added to a deep flat bottomed utensil and a stand or a melt proof container, ideally steel or aluminium container, with the food inside is kept either on the stand or over the water. The container must have a lid so that the steam created by boiling water cooks the food inside it. There is no contact between the food and water. Similar to boiling but uses half the quantity of water. A popular method for most Indian dishes to make thick sauce or gravy and enhance the flavour of spices and other ingredients used. Technique - Normally followed after the sauteing method. Water is added to ingredients and covered and cooked until small bubbles of water start to appear which cooks the food. The quantity of water should be just enough to cover the veg or meat. Not the most recommended or used method for cooking Indian food as it tends to reduce the flavour of ingredients especially spices and losses nutrients. Technique - Double the quantity of water is added to food and heated to its highest boiling point,i.e.100° C. Food can either be added before water comes to a boil or after. The idea is to add enough water or sometimes more to cook food. Remaining water is either discarded or used as gravy. Whirlpool Gourmet Griddle – A fantastic cast iron non-stick grill suitable for electric or gas cooktops. 7-in-1 Multifunctional Electric Pressure Cooker by Yedi Houseware – A one pot cooking miracle. Use it for pressure cooking, as a slow cooker, Rice Cooker, Saute/Searing/Browning, Yogurt Maker, Steamer. With warmer & delayed cooking functions. Presto 8-Quart Stainless Steel Pressure Cooker – A simple yet efficient cooker to effectively tenderise and cook meat,vegetables,lentils and rice. Pressure regulator maintains proper cooking pressure automatically.